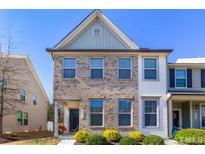 Below you can view all the townhomes for sale in the Shearon Farms subdivision located in Wake Forest North Carolina. Listings in Shearon Farms are updated daily from data we receive from the Raleigh multiple listing service. To learn more about any of these townhomes or to receive custom notifications when a new property is listed for sale in Shearon Farms, give us a call at 919-230-8729. Community pool. Back-Yard Shed conveys as-is. MLS#2249404. 1128. Minutes from downtown Raleigh and a few minutes to Triangle Shopping. 2 assigned parking spaces. MLS#2247864. 3770. 1 yr Home Warranty for Buyer! MLS#2247389. 2017. Storage Shed! Convenient to Shopping & Dining! MLS#2245981. 1128. Community pool recently renovated w/swim lanes, new tile & floor. MLS#2244066. 1127. Finished garage with cabinets/racks, custom automatic parking assistance system, underground gutter drainage, cameras, solar/safety window film & more! MLS#2242057. 1502. 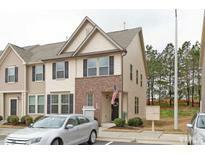 Convenient location, Near Major Roads, Shopping Centers, Downtown Raleigh, RTP. MLS#2240179. 1127. Rocking chair front porch and fenced in backyard. Community. Pool open in May! MLS#2238889. 65. Come see ASAP as it will not last! MLS#2236955. 5026.